When you are living under one roof with someone that you love, or you’re married for example, it’s always important for the two of you to share an intimate space that is tranquil and romantic. This space can be your sanctuary that will rid you of all the stress around you while providing you with a place of romance and relaxation. One of the best places to create such a wonderful setting is the bedroom, as this room is normally associated with relaxation. Indoor slate wall fountains and other indoor features can be perfectly combined with great decors so you can be provided with the ideal space where you and your partner can share true domestic bliss. In creating a calm and relaxing space, the first thing that you want to work on is the clutter. Clutter can be very distracting to your eyes and can make you feel anxious. Working to get rid of all unnecessary items in your living space is very important. To further lessen the stress within the room, make sure that you also throw out any remainders from work such as files, computers and office equipment. Bringing bills inside your bedroom is also not a good idea. If such items cannot be prevented from being inside the room, you can put them in creative places such as a decorative basket or bin so it can provide you with a more relaxing feel. Adding beautiful indoor fountains will also definitely help in reducing any stress or anxiety. When using water features in your room such as indoor slate wall fountains, you and your partner can discover that they actually have multiple benefits. For instance, the sound of water that is gently streaming and flowing is very calming and helps to promote a sense of tranquility and even a deeper, more relaxing sleep. Such a stress-free atmosphere is a big help in building a sensation of romance between you and your special someone while the fountain’s beauty will help in letting these feelings grow deeper. 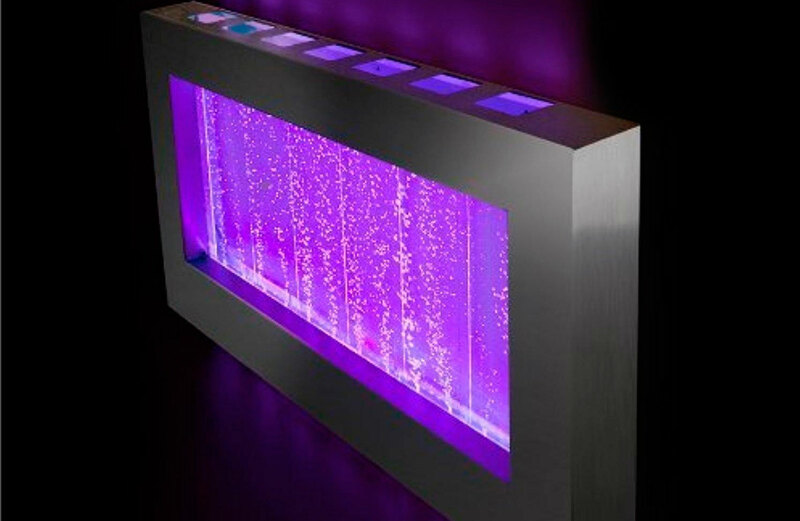 In addition to indoor slate wall fountains, tabletop fountains are also a great choice as well as the fountains standing on pedestals that can give you a relatively easy time in attaining the best feature in just about any space. Besides indoor wall fountains, you can also take other steps to make your living space more romantic. To incorporate gender neutral colors like the blues and greens is wonderful and calming technique. The whites and soft beige are also excellent choices. Romantic fabrics that have simple patterns is a good idea, and picking out flowing curtains instead of boring shades will allow a soft light to get through your space. It’s also best to stay away from flashy, bright lights; instead, you can bulbs of lower wattage or scented candles so you can create your ideal romantic room. To de-clutter and redecorate your space is inexpensive and indoor slate wall fountains can add just the perfect touch to help you create your ultimate room for romance.